Ohio House chambers, Ohio Statehouse, Columbus. 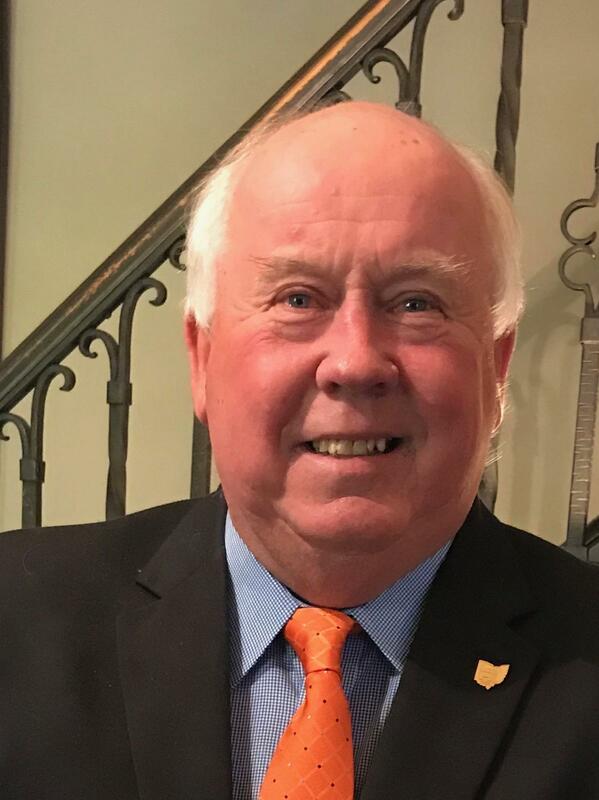 Editor's note: Faithful readers of Howard Wilkinson's weekly "Politically Speaking" column will want to know that this feature will be published on Wednesdays beginning May 1. We have a primary election coming up in nine days in Ohio, and it doesn't seem to have stirred the souls of most voters. Contentious, even nasty, primary battles for both the Republican and Democratic gubernatorial nominations have sucked most of the air out of the room. Not surprisingly, those contests are getting the lion's share of the attention. But there is a scattering of contested primaries in Ohio's 88 counties, including southwest Ohio. Most of them are battles over Ohio House and Senate seats. Most of them are rather ho-hum affairs, attracting little attention. 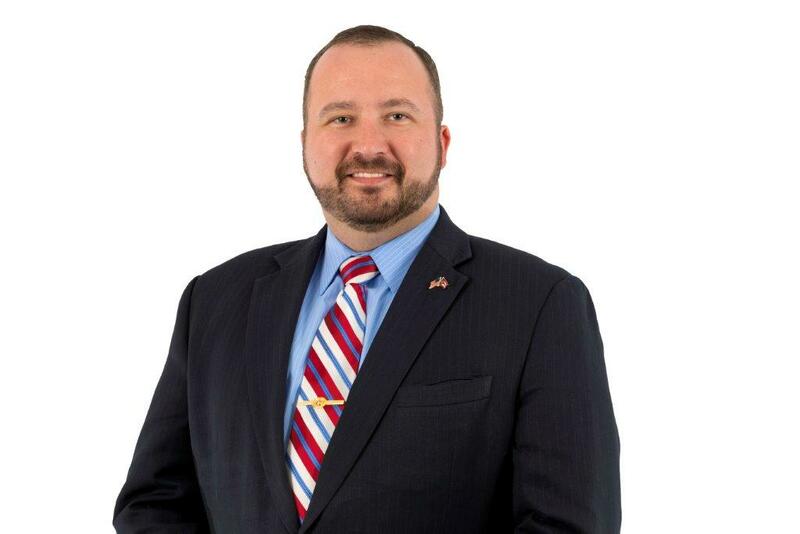 But in this primary, Butler County has the bout which tops the fight card – the Republican primary for the 51st Ohio House District seat, held now for three terms by Wes Retherford of Hamilton. 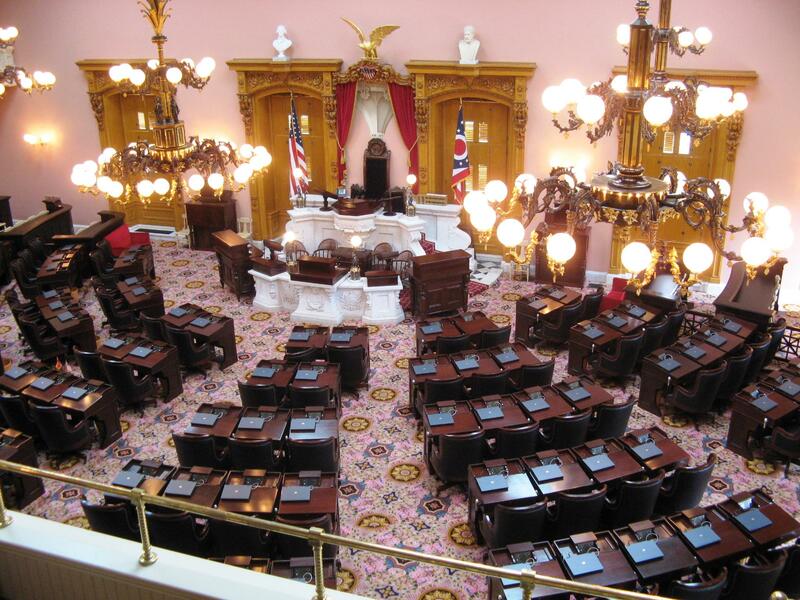 The 51st Ohio House District includes the cities of Hamilton and Fairfield, Ross Township, and parts of Fairfield, Hanover and St. Clair townships. Isn't he the guy who was drunk and got busted passed out in his car in the drive-through of McDonald's last year? And with a loaded gun in his car? Uh, yes, that would be correct. It happened March 12, 2017. He was eventually convicted on a charge of operating a vehicle while impaired. A Butler County grand jury decided not to indict him on a weapons charge – a felony. If he had been convicted of a felony, he would have been booted out of the Ohio General Assembly. He has always drawn primary opposition since first running and winning the seat in 2012, but, this year, Retherford's extracurricular problems have drawn two rather high-profile opponents – long-time Butler County politician Greg Jolivette, the former Hamilton mayor, state representative and Butler County commissioner; and Sara Carruthers, a first-time candidate whose family is well known in Butler County for giving millions of dollars to philanthropic causes. Four years ago – the last gubernatorial election year – only about 8,500 people voted in the GOP primary in the district. There may be more this year, but, still, in a three-way race, it may not take much more than 3,000 votes to win the primary. The three of them have been going at it hammer and tong. The 33-year-old Hamilton resident knows full well he is carrying one heck of an albatross around his neck because of that late-night visit to McDonald's last year. But he insists that people should understand that there is more to him than that one incident. "I made a terrible mistake,'' Retherford said of the incident. Since then, he has turned his life around. "I have not had a drink since that night - not one,'' Retherford told WVXU. "I have recommitted myself to my faith, my family and to my health. "All I ask is that voters weigh that one incident against all that I have done for my constituents as a state representative,'' Retherford said. As if dealing with the questions about his arrest weren't bad enough, Retherford is still trying to live down an October 2016 article in Columbus Monthly magazine in which lawmakers, legislative aides, lobbyists, journalists and others anonymously rated the 132 members of the Ohio General Assembly. Retherford was rated the "laziest" and least effective member of the legislature, House or Senate. That one really gets under his skin. "The only people who are talking about that article are my opponents in this race,'' Retherford said. As for the survey, Retherford said "the establishment types don't like people who go into politics as principled people. And I am the only true conservative in this race." He points to the Elder Justice Act, which became part of the state's 2018-2019 budget, as legislation he sponsored. He also sponsored a bill which allows medics assigned to SWAT teams to carry firearms for defensive purposes. "The fact is the average legislator gets only 20 percent of his legislation passed into law,'' Retherford said. "I've been successful with something like 35 to 40 percent of my legislation." Retherford may have been an accidental legislator when he was first elected in 2012. The better-known Jolivette was going to run that year, but defects in his nominating petitions kept him off the ballot. Retherford – a mortician's assistant who lives in Hamilton with his wife and two children – has been easily re-elected in the heavily Republican district ever since. In 2016, he had 66 percent of the vote. "I'd be term-limited after this one,'' Retherford said. "I'd just like a chance to finish to the work I started." The 55-year-old mother of two has never run for office before. But she jumped into this race with both feet because she says she is "fed up." "The 'swamp' you hear them talk about is not just in Washington,'' said Carruthers. "It is in Columbus, too." And, as a person who comes from a very wealthy family, she has been able to pay for her own six-figure TV ad campaign – something neither of the other candidates can even come close to affording. "It's natural for me to advertise on TV; I come from that industry,'' said Carruthers, who was formerly with WKRC TV. She is the daughter of Ralph "Pat" Carruthers, a retired Champion Paper executive who is well-known in the community for his philanthropy, a passion he has passed on to his daughter. Among the many community institutions that have benefited from millions in donations from the Carruthers family are the Fitton Center for the Arts in Hamilton, Fort Hamilton County, Mercy Hospital and the theater at Hamilton High School. "I was raised to believe that it is our duty to serve our communities,'' Carruthers said. "I was angered by the lack of respect that was going on from this district,'' she said. "Anyone who drives drunk and passes out in a McDonald's drive-through with a loaded hand gun is not the kind of person we want representing our community in Columbus." She said she wants to go to Columbus and give the people of the 51st District the tools they need to survive and thrive. "The district's like a dinner table,'' she said. "Let's say we are going to have soup. Somebody has to get the bowls; get the soup spoons. I'm the one who can do that." She wants to go to Columbus and do her part in taking on the state's opioid crisis. "It is killing our families, killing our businesses,'' Carruthers said. "It's become hard for some companies to hire people without extensive drug testing." She said she knows this could be a close race. But she hopes not. "I want to win in a landslide,'' Carruthers said. "I really only care about the 51st District. I know that, if I go to the legislature, I have to care about all of Ohio, but I am there to represent the interests of the 51st District. "It sounds harsh, but that's the way it is,'' Carruthers said. "And it's been a while since we have had someone who represents us in Columbus." There are a whole lot of younger voters who weren't even born when the 66-year-old Hamilton Republican began running for office in Hamilton and Butler County. He began his career in 1981 as a Democrat, winning a seat on Hamilton City Council. Since then, he has been elected Hamilton's mayor; ran against John Boehner in the future House Speaker's first congressional race and lost; has switched parties to take an appointment to a vacant Ohio House seat; resigned from the House to switch jobs with then-county commissioner Courtney Combs; and lost the 2010 primary for county commissioner to Cindy Carpenter. In other words, he's been around the block a few times. In fact, he might well have been the incumbent state representative from the 51st District this year had it not been for a slip-up on his nominating petitions. In 2012, Jolivette was disqualified as a candidate for the Ohio House because he failed to sign a page of his nominating signatures. That's when Retherford, then 28, won the seat for the first time. Jolivette told WXVU that, this year, he is battling the "Carruthers tsunami" of TV ads to win the primary. He can win, he believes, on name recognition and the fact that he has served in so many local offices. "Money can buy you TV ads,'' Jolivette said, "but it can't buy you experience." Jolivette said he has been a friend of Carruthers and her family for many years, and admires them. "I am certainly grateful for what the Carruthers family has done for the city over the years,'' Jolivette said. "But I’m not sure Sara understands what she is getting into." Jolivette said that if he is sent to the legislature, he will work on getting Hamilton enough infrastructure money from the state's capital budget to help bring a major development to his city. Spooky Nook Sports, an indoor sports facility, wants to build in Hamilton, Jolivette said. The company has a 700,000 square-foot complex in Lancaster, Pa. Jolivette says it could bring as many as 11,000 people to Hamilton each weekend. "We need help from the state for the infrastructure to support that,'' Jolivette said. Jolivette said he will spend less than $10,000 in this race, which he said is typical of campaigns. "This is a going to be a close race,'' Jolivette said. "We will be scrapping for every vote. And every vote will count." 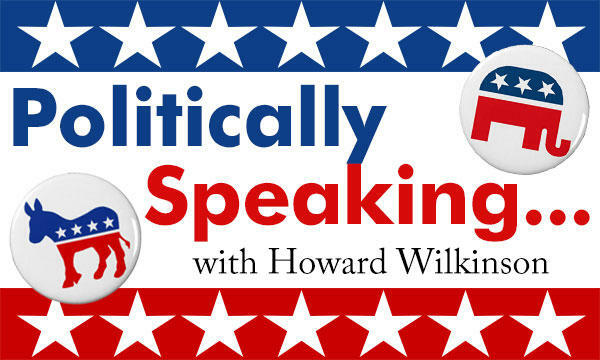 "Politically Speaking is WVXU reporter Howard Wilkinson's weekly column that examines the world of politics and how it shapes the world around us. Wilkinson has covered every Ohio gubernatorial race since 1974. Read more here.